Spirit Halloween is your one stop shop for fully licensed, authentic Ghostbusters costumes featuring lights and sounds! It has never been easier to suit up with an authentic, officially licensed Ghostbusters Flight Suit, Proton Pack, Ecto Goggles, PKE Meter and Ghost Trap with working lights and sounds! 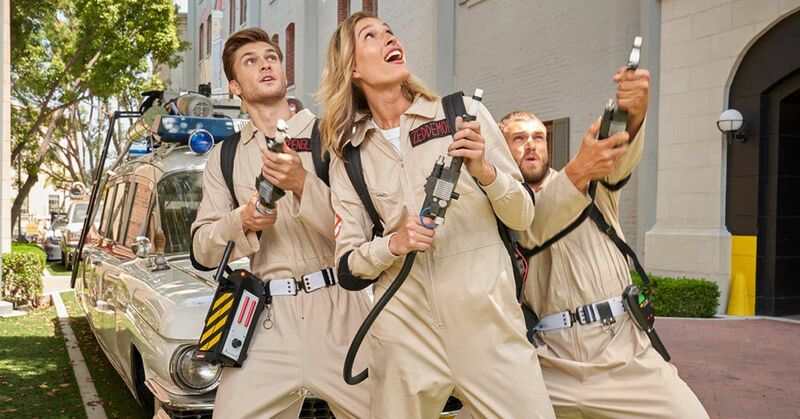 Spirit Halloween is your one stop shop for a complete Ghostbusters costume for the entire family and you can take $50 dollars off your order of $200 or more with coupon code HALL50!